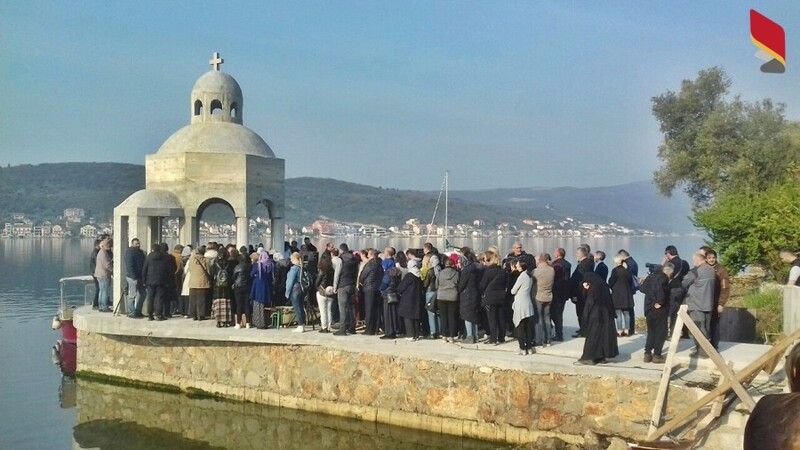 The gathering of a large number of believers prevented the police from securing the demolition of the bapristery on the sea near the city of Tivat. Radio Tivat reported that the destruction of the baptistery was not performed because of a large number of believers were gathered surrounded the building while the priests and others were praying. Ordinary people surrounded the building whose demolition was scheduled for this morning, based on the decision of the Directorate for Inspection Affairs and Supervision of the Ministry of Sustainable Development and Tourism MORT). During the night, there were ringing bells that urged believers to resist. In the early morning, the head of the Herceg Novi Security Center Goran Baničević and the head of the OB Tivat Dragan Kontić met with priest Miajl Backović, demanding that the believers step down and allow the demolition team to do its job. Backović told them that the Metropolitan of Montenegro and Primorska have repeatedly offered to the state to pay the rent of the Ponte. “The baptistery is on the sea, but it is part of the monastery, that is, it was built on the existing pontoon which is intended for baptisms. No one has used the sea, no one has occupied the marine space. I repeat, we do not refrain from paying the rent”, Backović pointed out. The priest called on the policemen to back down and go home “and tell their children to be proud of their fathers who did not act as fools and listen to the order to destroy the sanctuary. At one point of the peaceful gathering, the believers brought coffee and tea to the police officers, and they withdrew around 7.30, because the demolition was not possible.